I just got back from a trip to Chennai. 10 days of rest, fun, and indulgence. But after just a few days, I was itching to do something and get back to the blog. Incidentally, the day after I returned was Hanuman Jayanthi (Lord Hanuman’s birthday). 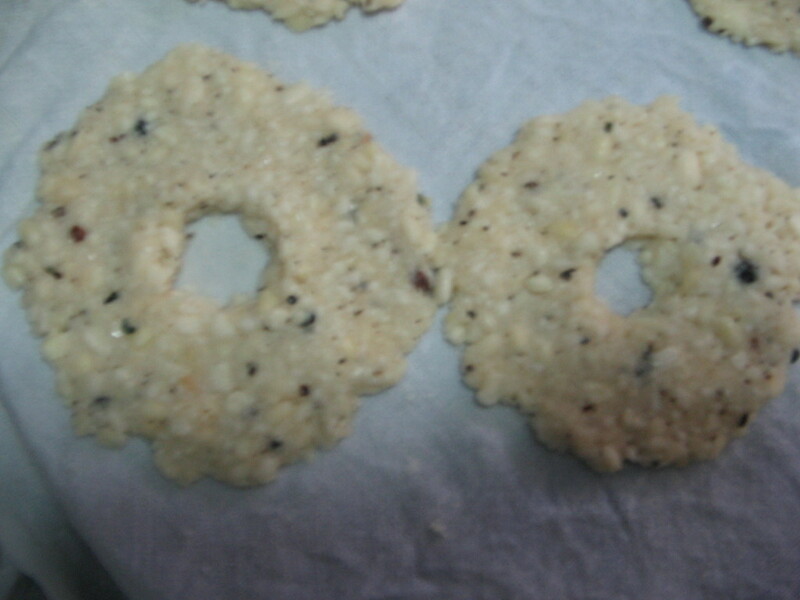 It is a custom in the family to prepare Milagu Vadai on this day, and garland the Almighty with a string of these Vadais (a way of signifying that everything belongs to the Almighty). Milagu Vadai is a very simple and flavourful snack. Make some and find out for yourself. Soften urad dal by soaking it for 15-20 minutes. Drain the water with a colander and spread it on a kitchen towel. The idea is to remove excess moisture and not completely dry the lentil. Add the pepper and salt and whip it in the mixer for a minute or two. The result will be a stiff, coarse dough. 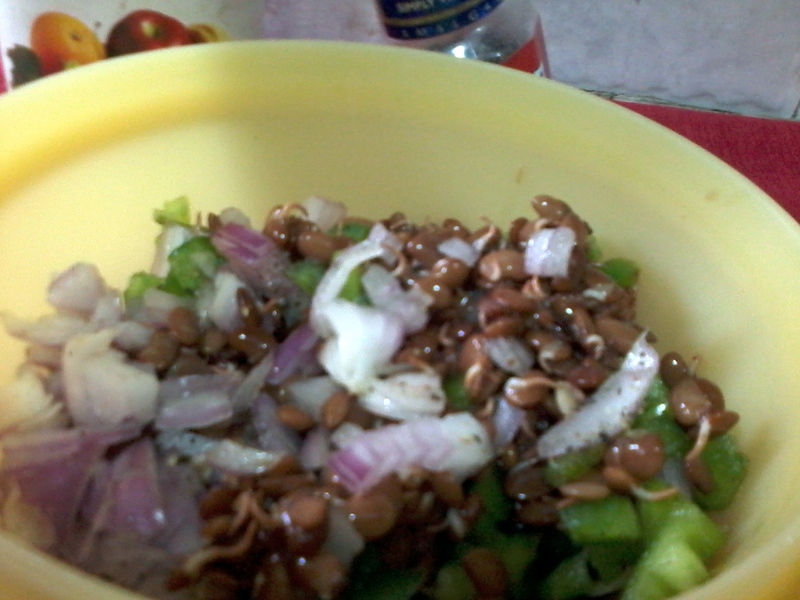 Add hot oil to this mixture – this will make the resultant vadais crispy. Spread a clean, wet cloth on an inverted plate. Take a small ball of the dough and lay it on the cloth. Using wet fingers, spread it by slowing applying pressure and making small circles over the ball. Make a hole in the centre using your index finger. Make 4 – 5 vadais this way, and again wetting your hands lightly, slide them gently on to your hands and drop them in the hot oil. Fry till golden brown. They tend to stick to one another while you drop them into the oil. Gently separate them using a flat spoon. I made four pieces in each batch. 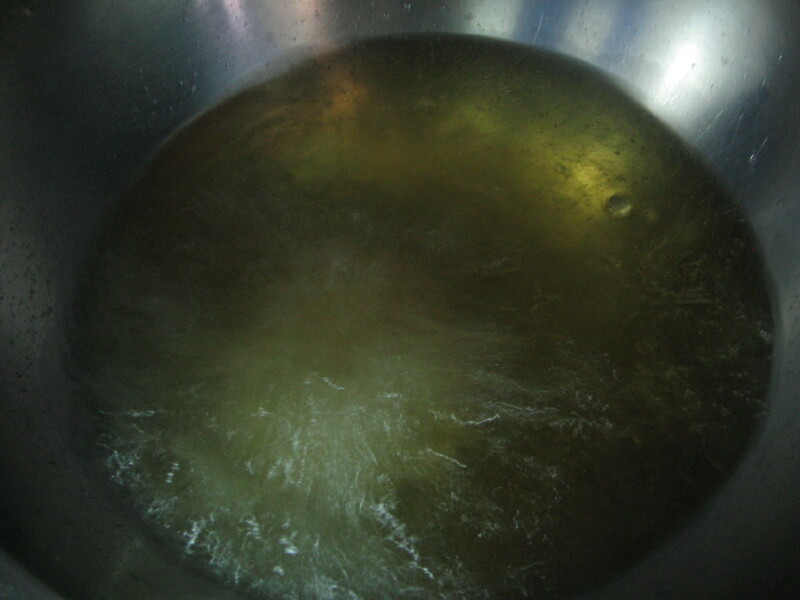 You can opt to ready the next batch while the first one is frying in the oil. String them up through the holes in the centre if you are planning to garland Hanumanji. If not, you can just enjoy them as a snack. Milagu Vadai is a nutritious and interesting snack for kids. Once you get the hang of doing it, it is very easy to make. 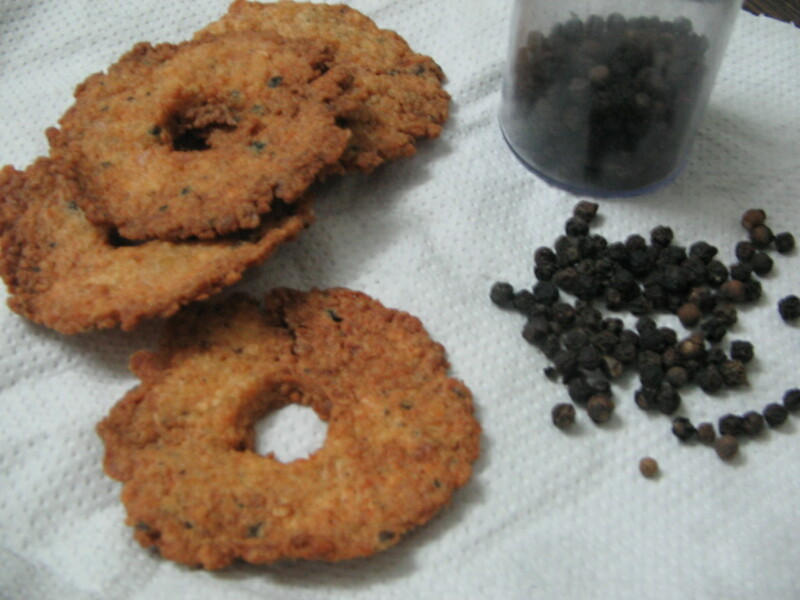 This dish is called Milagu (Pepper) Vadai because of the distinctive flavour that black pepper lends to it. So I am giving the details of pepper in this post. The details of urad dal (black gram) will find its way here very soon. Pepper or peppercorn is the fruit (you may call it a berry) of the pepper plant. It is referred to as the ’king of spice‘. It is often grown along with other plants as it is a climber variety which needs support to grow. It might be interesting to note that black, green and white pepper are berries from the same plant but picked during various stages of ripening and processed differently. The spice is rich in Vitamin C and antioxidants. It offers a very good home remedy for cough and cold, which I personally use for my kids. Freshly crushed pepper can be added to warm milk along with turmeric, and this mixture, if consumed at bedtime, controls cold and related ailments. Storage Peppercorns (whole) can be stored in an airtight container for years.Its best to powder it as and when required. Tips As much as possible, try to add pepper towards the end of the cooking process. Because pepper that’s cooked for too long tends to lose flavour.A pepper mill is a good investment as freshly ground pepper added to a dish lends a lot of flavour. If buying pepper powder, store it in airtight containers in the refrigerator and use it at the earliest. It tends lose aroma if stored for a long time. Buyer’s Guide Check to see that the peppercorns are somewhat heavy, uniform in colour, and free of blemishes. Our menu always has some kind of salad everyday. To make the preparation easier and to introduce some variety, I’ve made it a practice to sprout different legumes in bulk and store them in airtight containers in the refrigerator. Though the kids don’t like them in their original form, I try to hide them in a salad, or disguise them as kebabs or as stuffings inside dosa or roti. The horse gram is mostly used as horse fodder, and it is believed to give the consumer ‘horse power’. 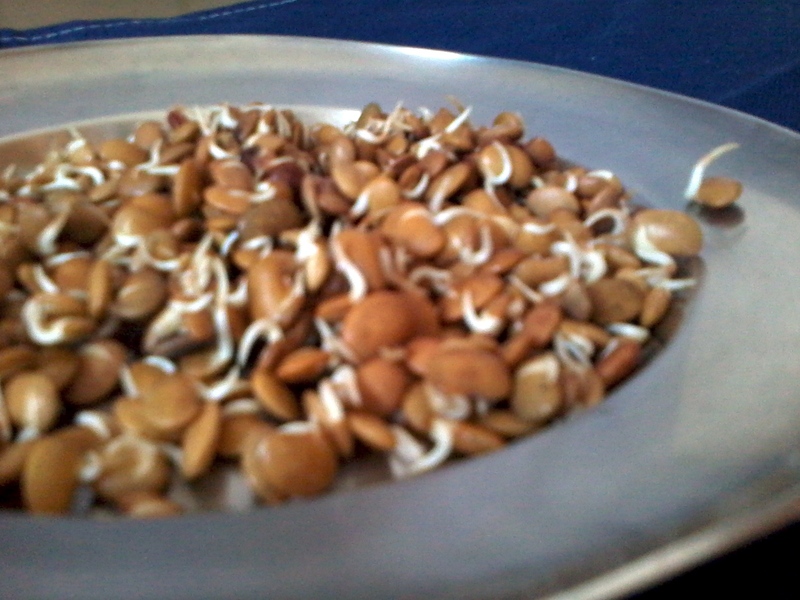 May be that’s too much to say but the benefits of horse gram are needless to list here; and sprouting it only adds to the nutrition. It is known for its medicinal properties in Indian Ayurveda. It helps weight watchers as it is rich in calcium, iron and protein while being low on calories. It also helps lower cholesterol and is known to treat various medical conditions like renal stones, piles, cold, cough and fever. Steam the sprouts in a pressure cooker for 5 minutes and toss with all the other ingredients, and you have a very nutritious and crunchy salad. The almonds add the nice crunch to the salad, but if you don’t like them with the other ingredients, you can always skip them. It’s better to steam the sprouted legumes to make them easy on the tummy. Got to keep this in mind when you are giving it to kids. If you would like to use the legume as it is (soaked but unsprouted), you will need to cook it for longer (about 30-40 minutes). You can store this in an airtight container in the refrigerator for up to 10 days. Storage If kept in an airtight container in the refrigerator, it would stay fresh for a week -10 days. Tip Sprouted legumes have high moisture content. They can be frozen to extend their shelf life. The rules for buying are the same as for buying any other legumes. Watch closely for bugs and holes, and avoid packets with a powdery residue. Once bought, they can be stored in their own packing inside an airtight container (to avoid moisture) and they will stay fresh for months together.